David Erfle, Founder and Editor of The Junior Miner Junky shares some of his thoughts on the weird action in GDX over the past couple days. With gold down yesterday GDX managed to get a buy throughout the day but today is a different story. We also look at a couple stocks that David sees as typically leading the sector. The was dilution to the overall sharecount in MUX, but Rob & team also acquired the exploration company Lexam VG Gold & the Black Fox mine from Primero, as well as moving ahead the economic studies for Gold Bar, so has a more valuable asset base now. Dilution is justified if the underlying value grows as a result of doing good work to move ahead projects, or accretive acquisitions. In 3 years gold should be to $2500 and MUX might go to 10. MUX and NSRPF are both a little above $2. Which will be higher in 3 years? Or will USAS or NGD be higher? Better own all 4. 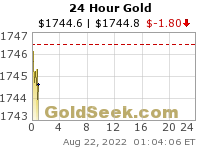 Bonzo, MUX will probably be close to $8 by the time gold hits $1500. At $2500, I think we will all be very surprised at where it and all miners will be. Matthew, I agree. And just imagine where MUX will be with exploration success in Canada, Nevada, or Mexico, or if they sell their enormous copper deposit in Argentina. But will it do better than NSRPF and USAS? I own all of them and won’t be surprised if they go to $20. I believe gold and silver have been backed into a corner in recent times. Unfortunately they seem to be quite sensitive to many various subjects, sometimes through misalignment of facts, whilst on other occasions through nothing more than jawboning, propoganda and sensationalism. For example: gold goes down on the assumption of an improved global economic outlook diminishing safe haven demand, with money favouring the general stock market. Yet it also appears to go down on reports of economic slowdown news hitting the airwaves which in turn puts pressure on commodities markets. Not to mention other factors such as margin calls. I also hear that gold is widely viewed as an inflation hedge. When the economy turns up, so too does inflation to an extent yet gold suffers due to the aformentioned interest in other markets when economies improve. If this remains consistent then gold should be viewed more as a “geopolitically uncertain safe haven” investment rather than an inflation hedge investment. That is unless of course inflation were to become runaway type. I wont mention hyperinflation as that seems too negligent and unlikely in the near term. I realise that the yellow metal currently sits in unfavourable times whether viewed in an going bear market or in the infancy stages of a bull market and therefore has to ride out these mundane times. Im simply trying to make sense of PM markets along with others, especially during this era of so much misinformation, lies, deceit, greed and hidden agendas. There have been many so called bullish factors arise for gold (and silver by default) recently ie: favourable COT structures, surging bullion and coin sales, historical seasonal strength, ongoing geopolitical turmoil, reduced interest in other alternatives (cryptocurrencies) and so on. However those factors have amounted to little positive effect on gold. Golds current chart does not look very good and if it were to venture into another cascade down then it would be less than 10% above the low of December 2015. That is nearly 3 years ago and therefore alot of apparent good work wouldve been undone if this were to eventuate. Purely hypothetical I know. It would seem the only consistent force affecting the PMs is the inverse relationship it shares with the dollar and so one would do well to look at the dollar first and foremost when attempting to hypothesise where PMs go next. But who really knows because at the end of the day, there is a certain amount of guess work relied upon. It is becoming increasingly apparent, that many areas around the world are feeling stress. Theres the ongoing trade war with China and the US, emerging markets continuing to struggle, housing bubble slowdowns in some areas of Australia, the never ending battle within the Euro and just today the IMF has downgraded growth outlooks in most areas of the world. In essence they think the world economy is starting to cool. Im not saying we sit on the precipice of another GFC event but if things go to sh*t and theres the inevitable panic that spreads like wildfire due to globalisation then is it not reasonable to assume sell offs and margin calls eventuate throughout? 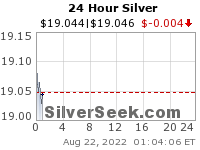 Furthermore, will we see fresh lows in gold and silver? Ozibatla – Very interesting thoughts to mull over regarding Gold’s role in the developing economic narrative. Good post! Cheers Excelsior. Yeh it is somewhat uncertain the times we live in. They are only going to get more interesting I feel. Good post fellas! This is why I read every chance I get. Thanks! !